Northern Steel Buildings works with some of the best manufactures of steel building accessories in North America. 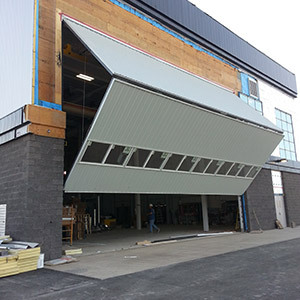 We offer top quality insulation, pedestrian doors, windows, overhead doors, bi–fold doors and mezzanines to finish out and protect your building, and the investments you are housing in your building. Our insulation will not accelerate the corrosion of steel or copper and will not breed or promote fungi or bacteria growth. Many of our insulation products are Greenguard certified, as well the manufacturer is a member of the U.S. Green Building Council. 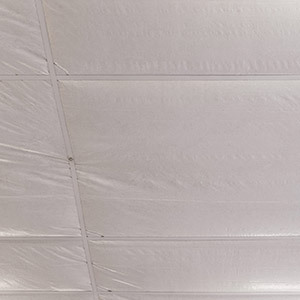 Let us help you choose the right insulation package for your building. We carry all of the doors you need for your building. Our standard pre-assembled doors are available in several sizes and are ready to be installed right from the factory. Options include windows, keyless entry, auto closure and custom colours. For retail buildings, schools, or other applications where industrial doors do not meet the aesthetics of the space, store front doors are available. These doors are available in 2 sizes and a variety of options. Pedestrian doors are also available in wind or fire rated variations. Please contact us if you need help in selecting the right door for the job. Vinyl and thermal fixed or sliding glass windows are available in several options. Custom sizes are available or choose from our selection of standard sizes. These windows are all available in either regular insulated glass or Low E and Argon Filled. Thermal windows utilize aluminum frames and are specifically designed for steel buildings, feature a self-framing, self-flashing design. These windows can be combined and mulled together vertically or horizontally. 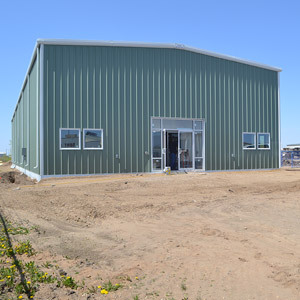 Northern Steel Buildings offers some of the industry’s best features in a cost effective and high quality solution. 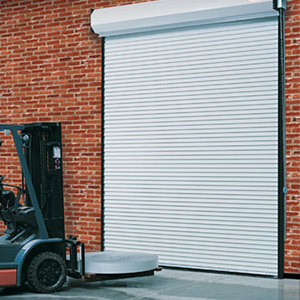 Options start with basic sectional doors, rolling doors, high performance, and high speed doors. From there the options expand almost endlessly. Some of the most common options for sectional doors include thermal doors, aluminum full view doors, and non-insulated. 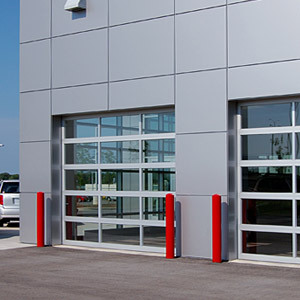 Some common overhead door options are steel, fire doors, grills, and traffic doors. Northern Steel Buildings offers the best value bi-fold doors available on the market today. Fully customizable to any application with a host of features and options. If your building is in a remote location, solar powered openers are available. If security is an issue, added measures are available. To keep the look of your building uniform, we can match the door cladding with the building. These doors can be made with stainless steel components for harsh conditions, keeping ongoing maintenance to an absolute minimum. Let us help you pick the right doors for your new building. Northern Steel Buildings is able to offer mezzanines as part of the complete building package. There is no need to source mezzanine components from a third party when you work with us! Incorporated in the design of the building, these parts come ready for installation. Serving all of Western Canada including Manitoba, Saskatchewan, Alberta, British Columbia and Canada’s North!